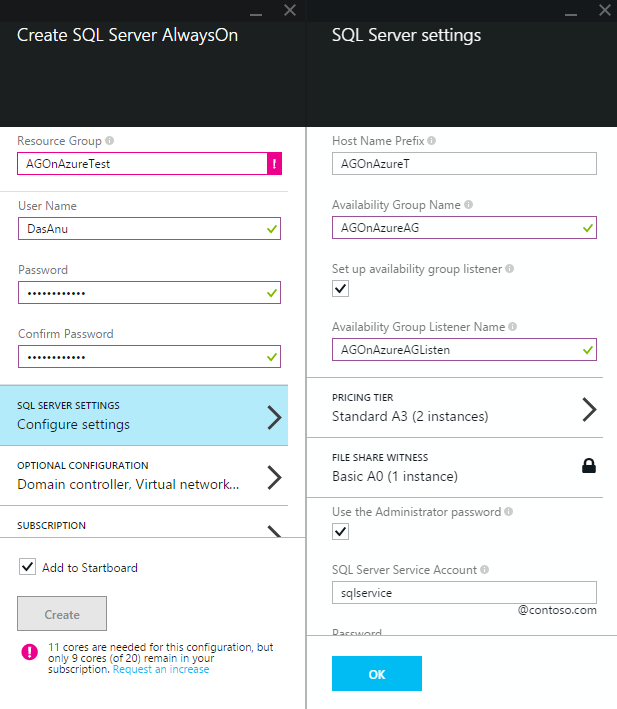 This one enhancement makes AlwaysOn Availability Group better in SQL Server 2014 ! 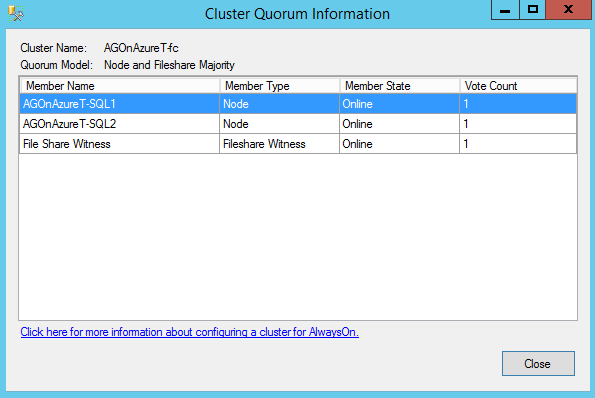 I keep getting questions on what is improved other than the increased number of secondaries(8 now) with AlwaysOn Availability Group(AG) in SQL 2014. 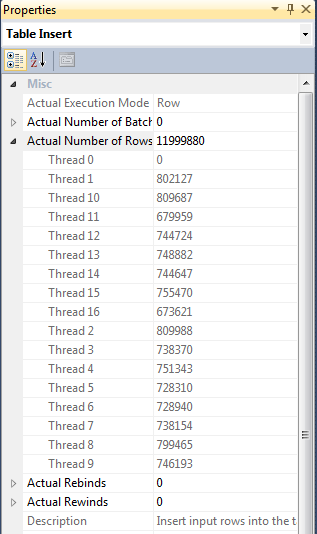 In this blog post I would like to talk about one major enhancement around the increased readable secondaries availability in SQL Server 2014. 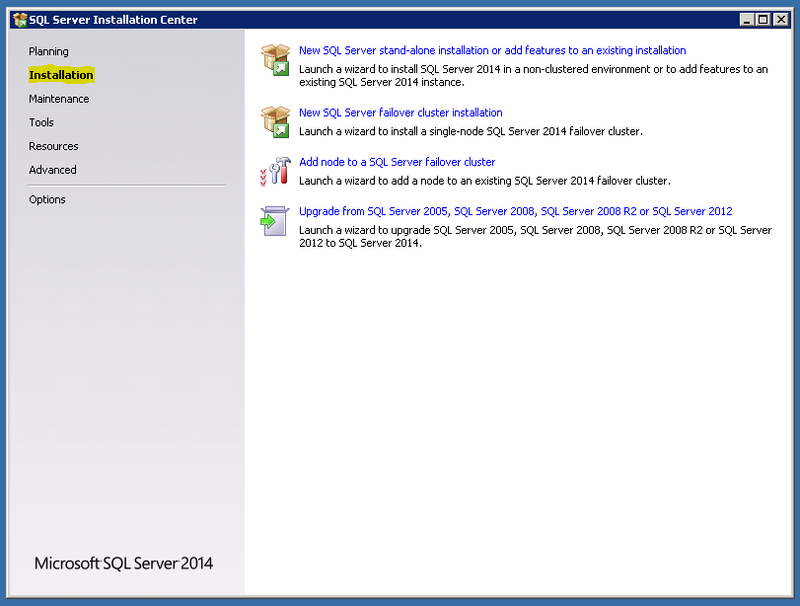 With SQL Server 2014, there is good news. Read workloads are not impacted during network failures, primary replica down or cluster quorum issues. Yes, it stays up all the time, and will be serving your read workloads. The replica will be in resolving state, however the databases are still available for your read connections/workloads. 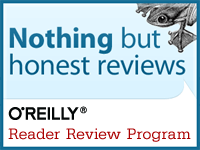 Keep in mind : Read-only routing is not yet supported for this, and you cannot use listener for your reporting workloads.Brent Ozar calls out this in his blog post here. I will be using a 2 node AG setup and the data transfer mode(Availability Mode) is asynchronous. If I query the DMV sys.dm_hadr_availability_replica_states I can see the replica states. Everything looks good, and now lets take down the primary replica. 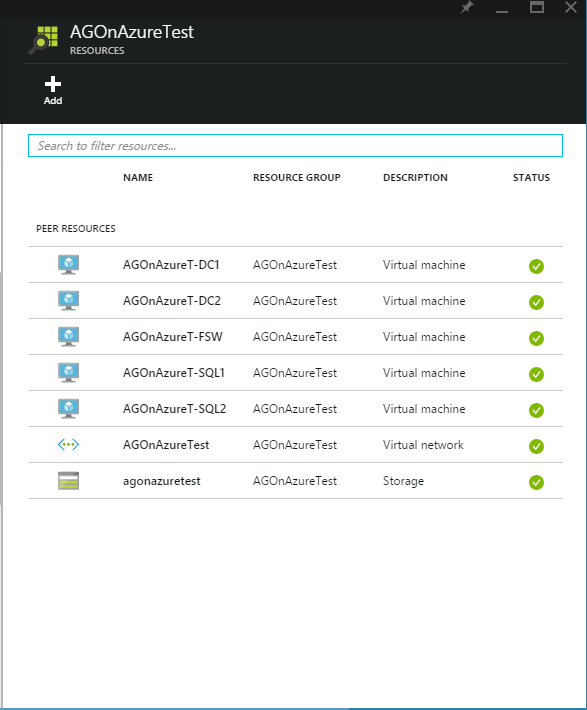 Okay, As this is a test instance I really don’t care and what I did was shutdown the SQL Services to take the primary down. And note, there is no entry for primary as we I have taken it down. Even though the secondary replica is in resolving state, read connections just works. The secondary database is in NOT SYNCHRONIZING, NOT_HEALTHY state, however its ONLINE. 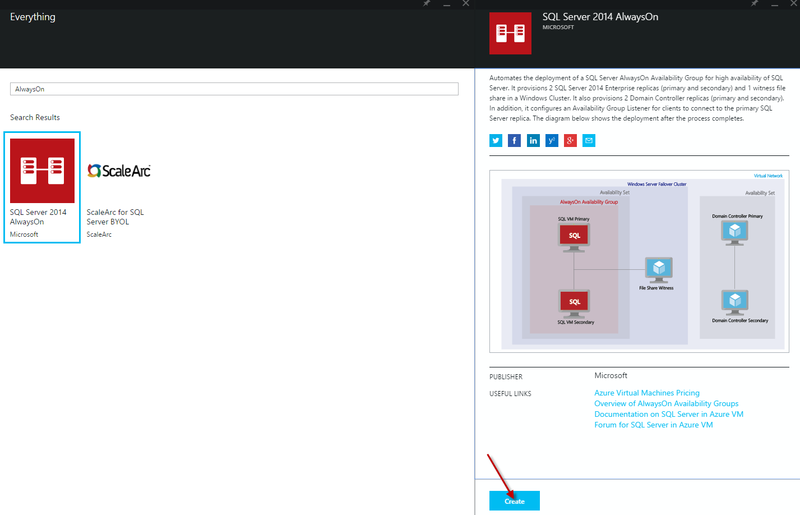 Yes, this is a very good enhancement which will make sure your readable secondaries are highly available and I’m pretty sure that this is one of those enhancement which will force you to deploy AGs in SQL 2014 rather than opting SQL 2012. Thanks for reading and keep watching this space for more ! 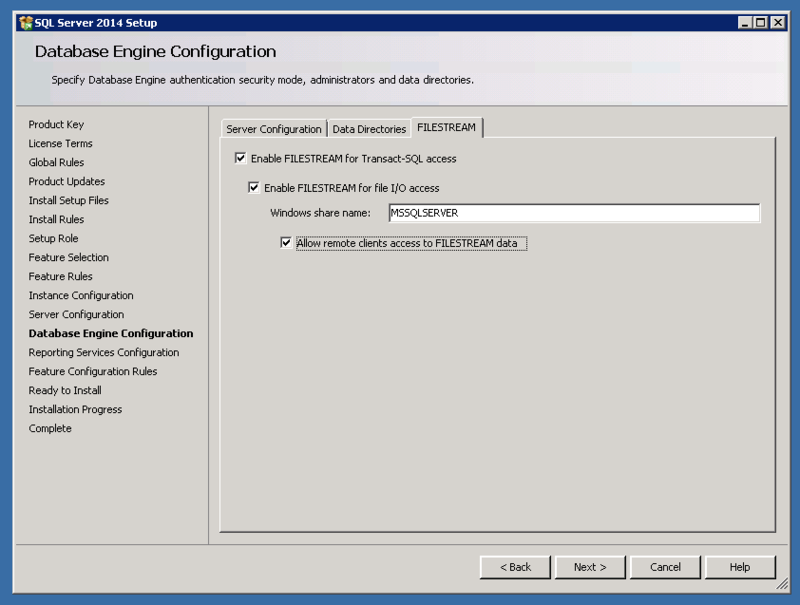 SELECT INTO Improvements in SQL Server 2014 ! 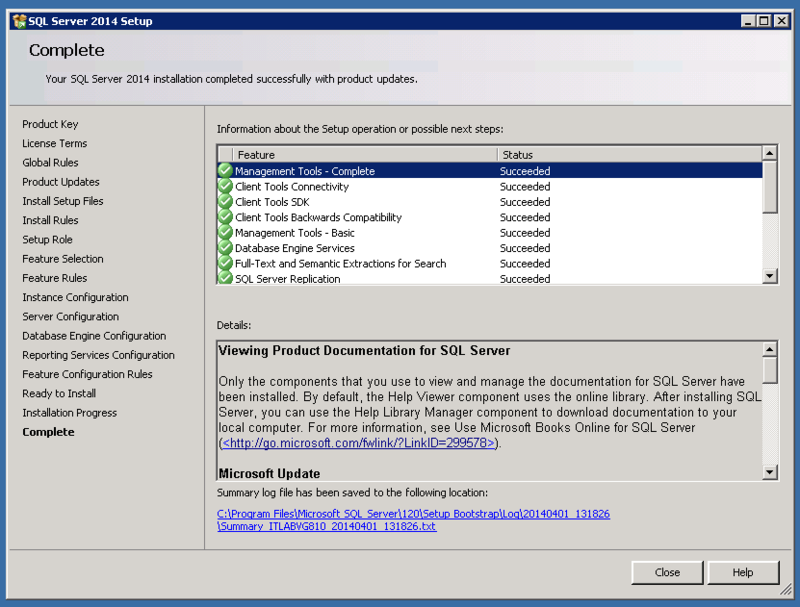 SQL Server 2014 is a great release with high performance features like In Memory OLTP, Updatable Column Store Indexes etc. SELECT INTO now runs Parallel ! 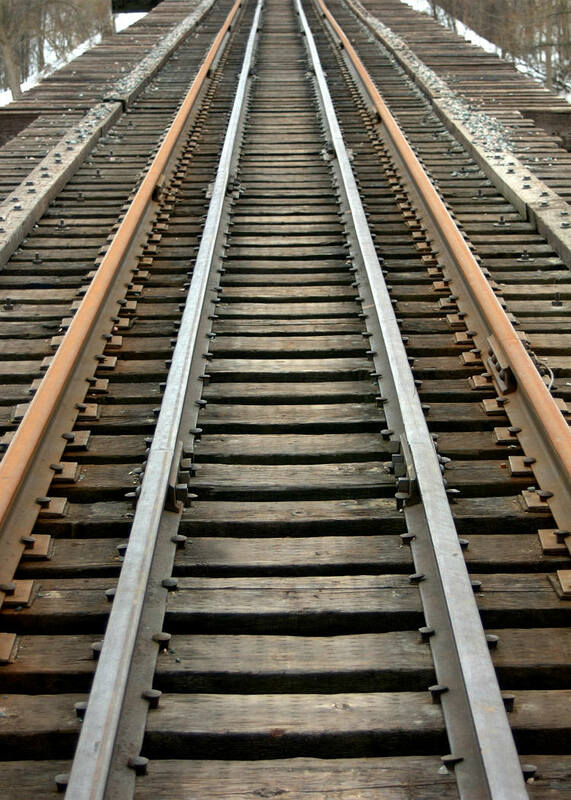 When I first heard about this feature my first impression was: What…was it not running parallel before ? 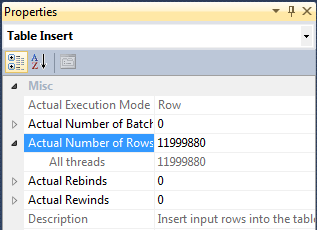 No, SELECT INTO was single threaded all these years and with SQL Server 2014 this will now use multiple threads. Let’s do a quick walk-through of this enhancement. 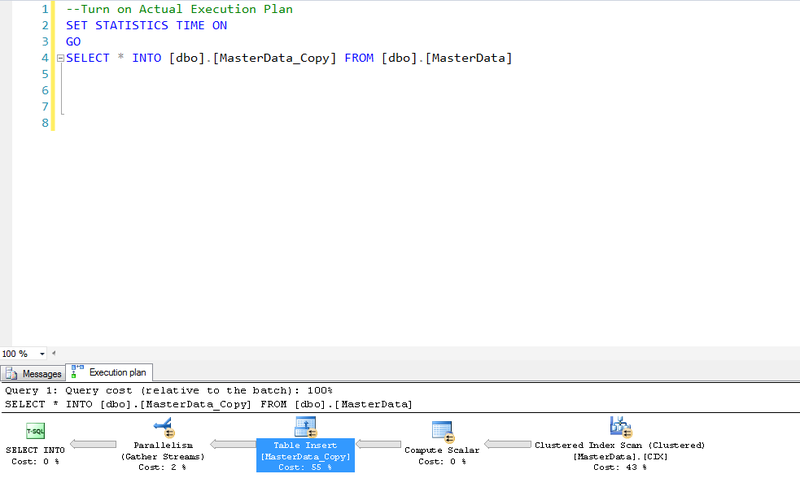 In this walk-through we will use a table named MasterData which has around 12 million rows. 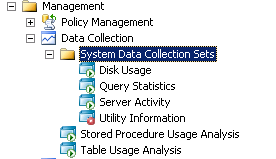 Data from this table will be copied over to a different table named MasterData_Copy using SELECT INTO operation. This operation was completed in 6 seconds (Desktop class machine) and if we examine the execution plan we can observe parallelism. Now let’s make this little more interesting. 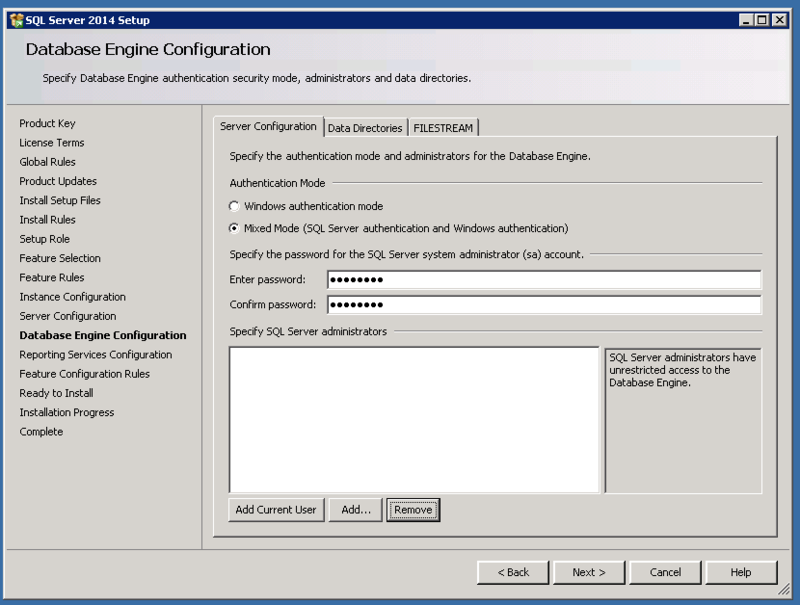 We will change the database compatibility level to SQL2012(110) and see what impact that brings to the SELECT INTO operation. This operation was completed in 11 seconds and it generated a serial plan. And here is the row distribution. I received a comment from Toni which says “It might be a good idea to set MAXDOP, most likely having 16 threads isn’t the best option”. I absolutely agree with this and a well tested MAXDOP setting will definitely bring better results and this is something which you have to keep in mind when queries goes parallel. 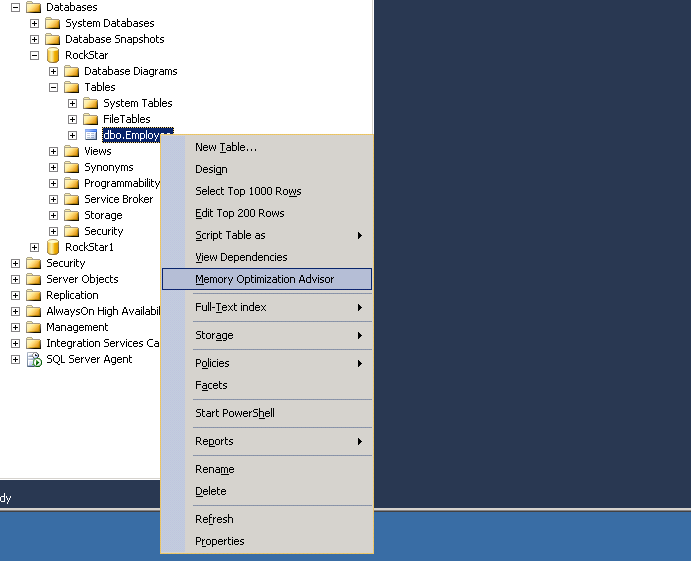 If you are using SELECT INTO a lot in your environment, then I would highly recommend you to compare and see what improvements you can again out of SQL Server 2014. Let’s talk about something simple today. You might already be knowing this, but if you haven’t seen/noted this before then this post will definitely help you. I was working on requirement wherein I had to simulate a workload which will do massive inserts to a table which had computed column. 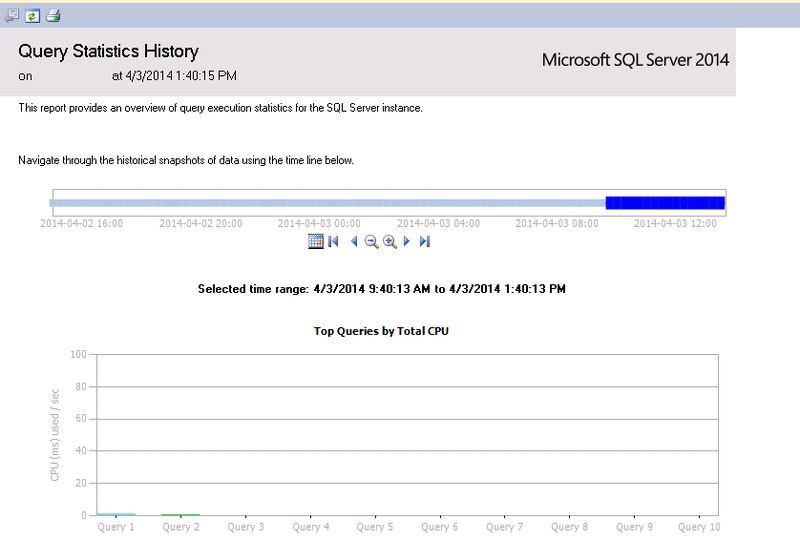 I tested my T-SQL script to create the workload via SSMS and it worked like a gem. Yay, all good and that’s the end of this post! No, not really. INSERT failed because the following SET options have incorrect settings: ‘QUOTED_IDENTIFIER’. 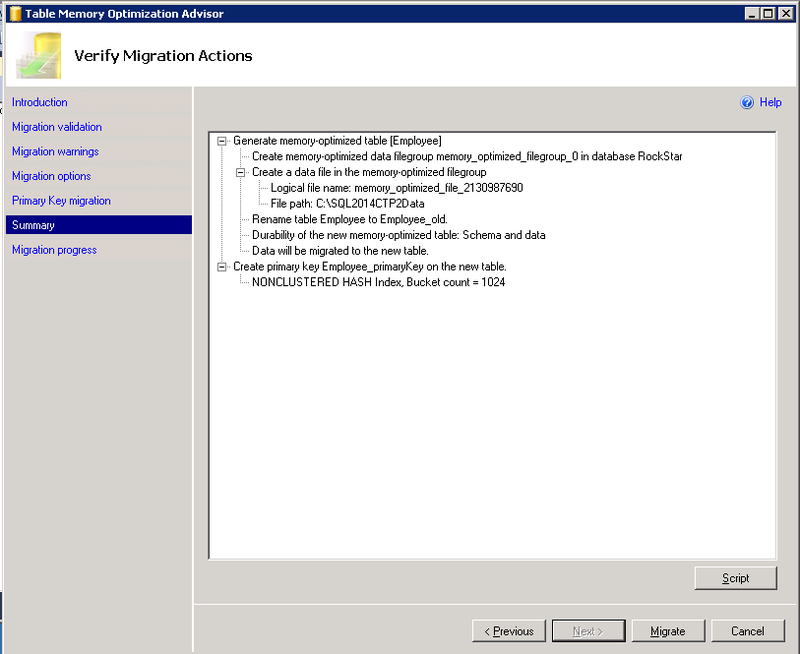 Verify that SET options are correct for use with indexed views and/or indexes on computed columns and/or filtered indexes and/or query notifications and/or XML data type methods and/or spatial index operations. 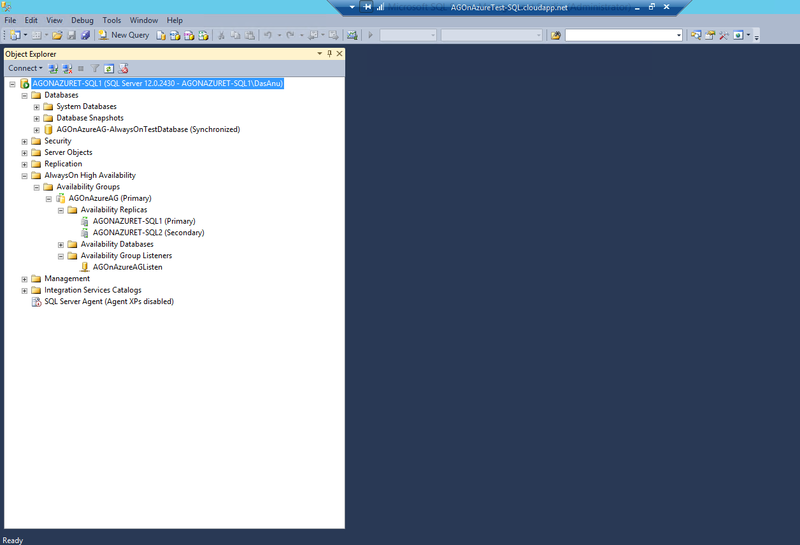 That’s interesting because my commands worked just great when I used SSMS earlier! What’s wrong with SQLCMD now? I quickly realized that this has to something to do with query execution options, and cross checked SSMS options. 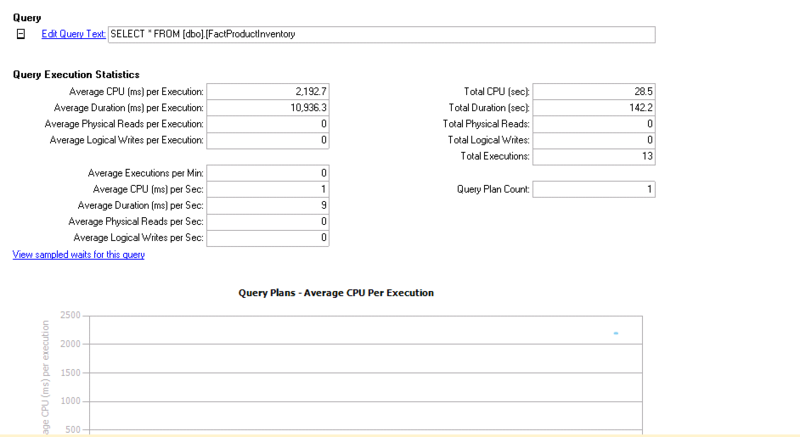 So, SET QUOTED_IDENTIFIER is ON for SSMS connections, cool and that’s the reason why my commands where running cool earlier. So, adding -I to sqlcmd as a query execution option fixed my problem. Little tips and tricks like these always surprises me when I’m dealing with SQLServer, and it helps me learn something or the other daily. Thanks for reading and keep watching this space for more. 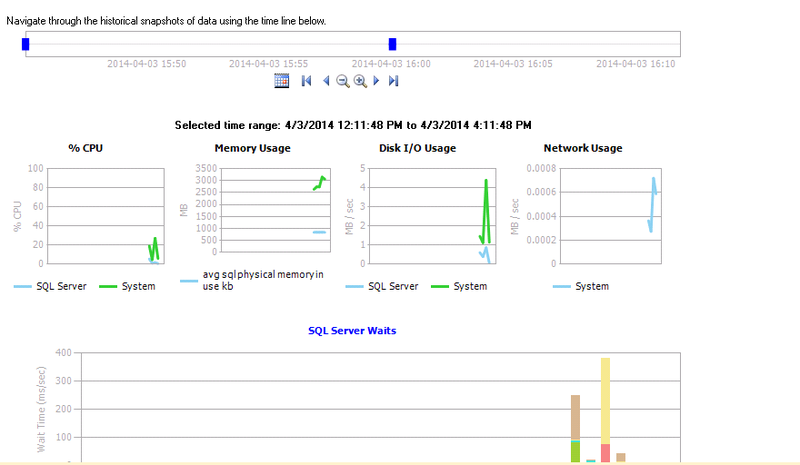 Yep, lot of SQL2014 goodness coming in next few days. 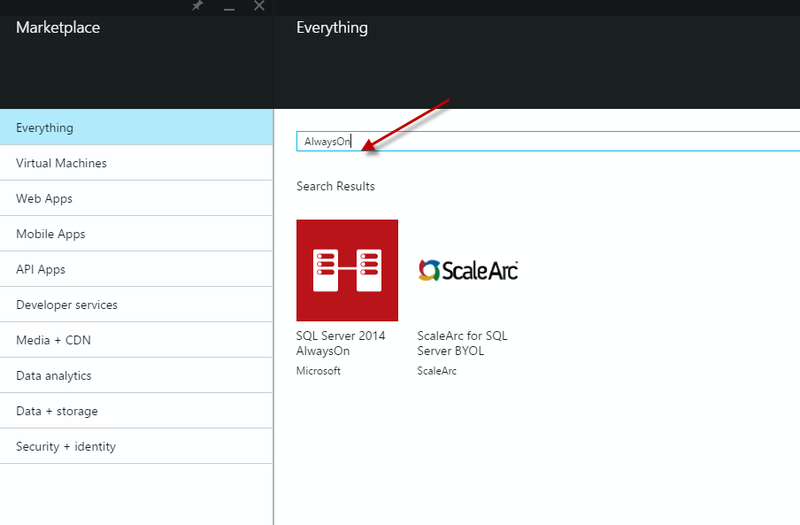 Data Collector in SQLServer 2014 – What’s New ! Today I noticed couple of changes(Neat changes !) 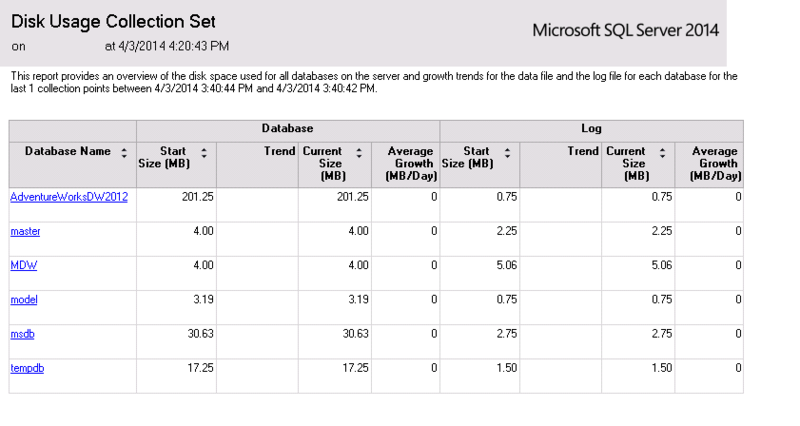 for Data Collector in SQLServer 2014. 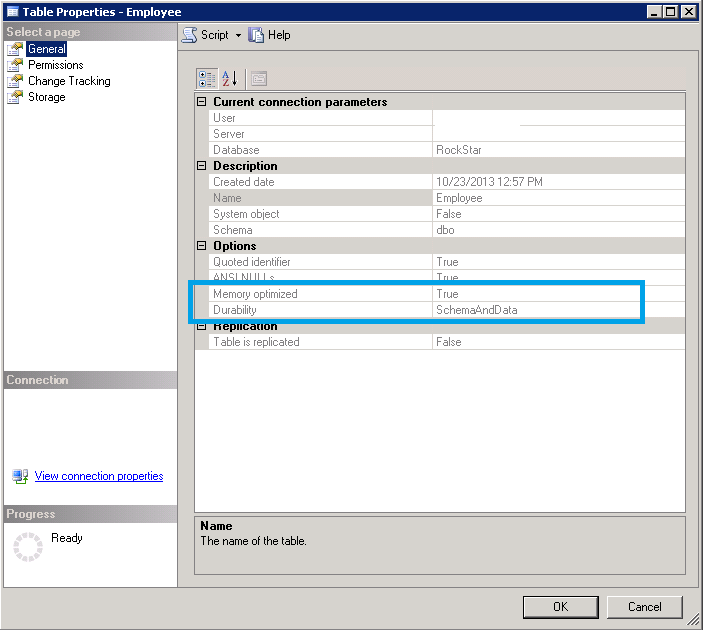 This post is a detailed walk-through of setting up Data Collector in SQL2014. 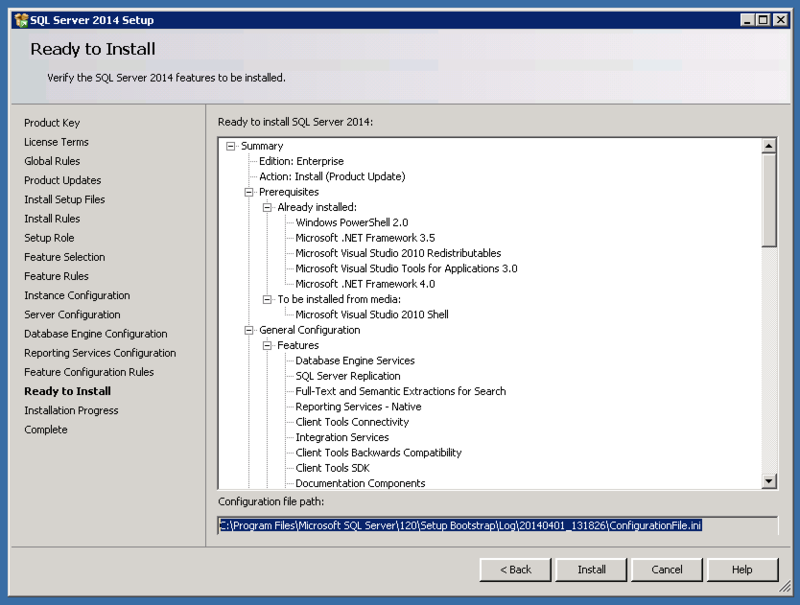 In the walk-through if there is a new feature or change which is specific to SQL2014,then I will highlight that. Lets talk about each option in detail now. 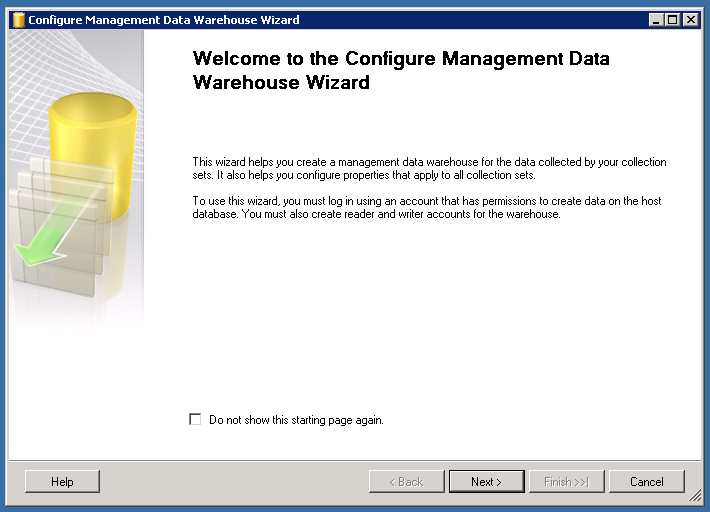 The first option will create and configure a Management Data Warehouse. 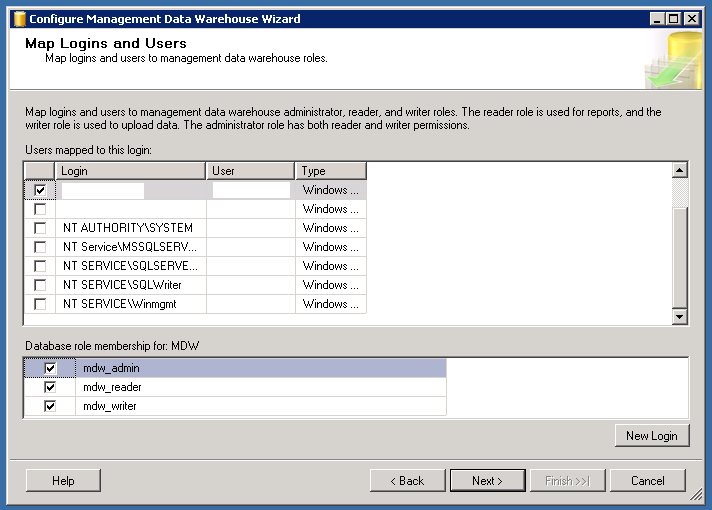 We will proceed by clicking Next and it will take you to the screen which will help you to create/choose the MDW database. 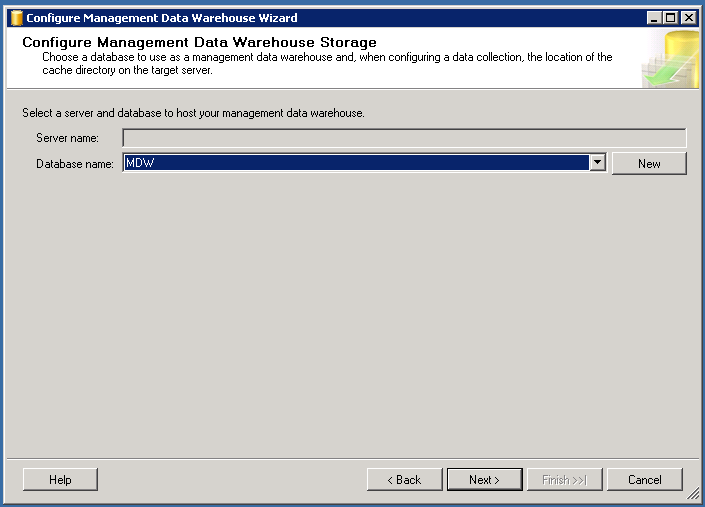 I have already created a blank database, so I will select that db in this walk through and will proceed. Next up is to grant permissions to users. Reader role is for reports, writer is for uploading data and admin has all these rights. Final step is to finish the operation. 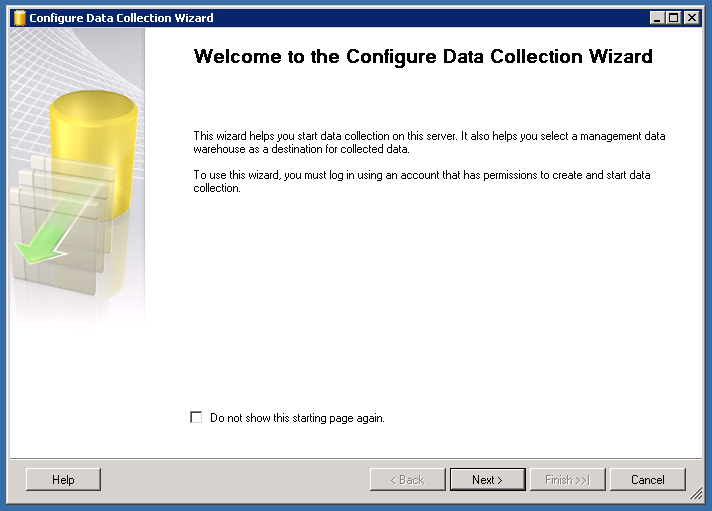 Configure data collection option helps you start data collection and store collected data to the MDW. 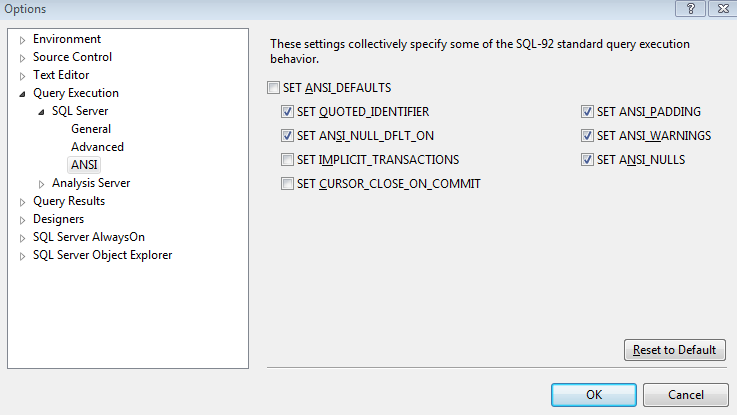 The above selections will create 2 new data collector sets called Stored Procedure Usage Analysis and Table Usage Analysis along with regular 3 data collector sets which was available in the previous versions. Complete the wizard by clicking finish. There you go,lot of CACHE files out there and its getting loaded/cleared very fast. 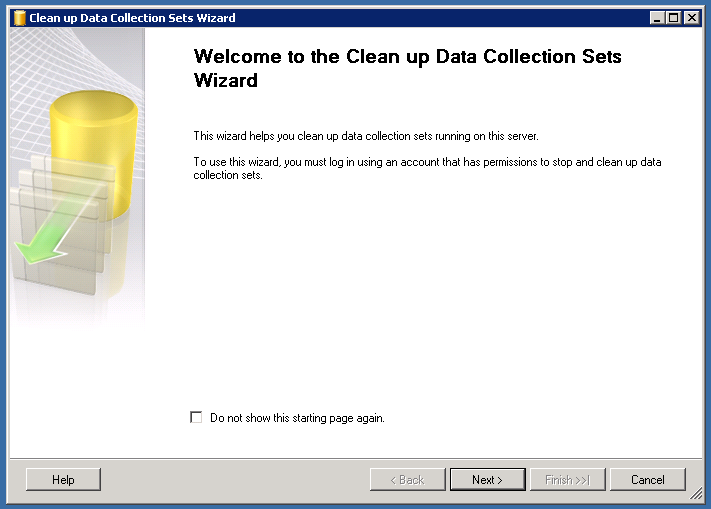 Cleanup Data Collectors is an option which will be enabled after you enabled data collection and this wizard will help you the clean up the collection set. 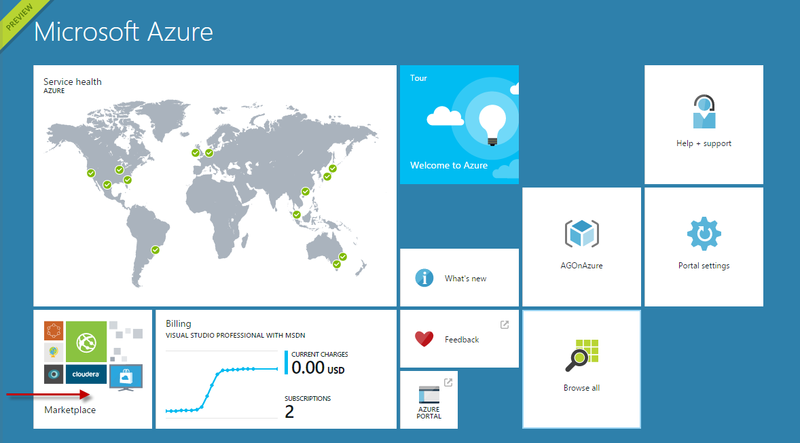 So as the 1st phase of configuring data collector is now over, we will drill down little more. These data collectors are integrated with data collector for a purpose. The data which is collected will provide you with valuable insights on tables and stored procedures which are good candidates to migrate to In Memory OLTP(Hekaton). I would recommend you to read a great blog post by Benjamin Nevarez(B/T) on this very topic. 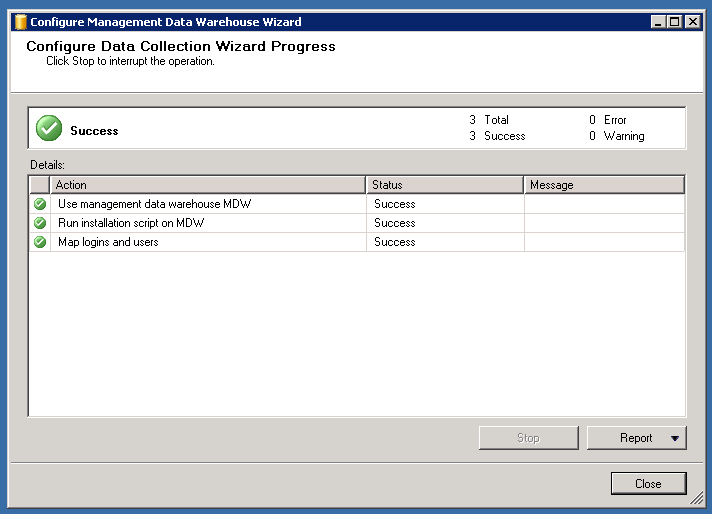 Lets have a quick look at the reports which data collector offers. These are pretty cool out of the box basic reports and they will help you understand some level of trending. This report will give you details of Top 10 TSQL queries and you have the option to rank queries on the basis of CPU, Duration, Total I/O, Physical Reads, Logical Writes. There is also an option to do play back. You also have an option to drill down to particular queries to get more details. This is one of my favorite reports. Its tell you about CPU, Memory, Disk, Network usage trends. The report also gives valuable insights about Wait Stats and Server Activity. Again you have the option to drill down for some of the graphs. This is a great source to know the growth trends. Data Collector is a great feature, and In Memory OLTP being the buzz word, the data it collects can provide you with valuable insights. Thanks for reading and keep watching this space for more ! 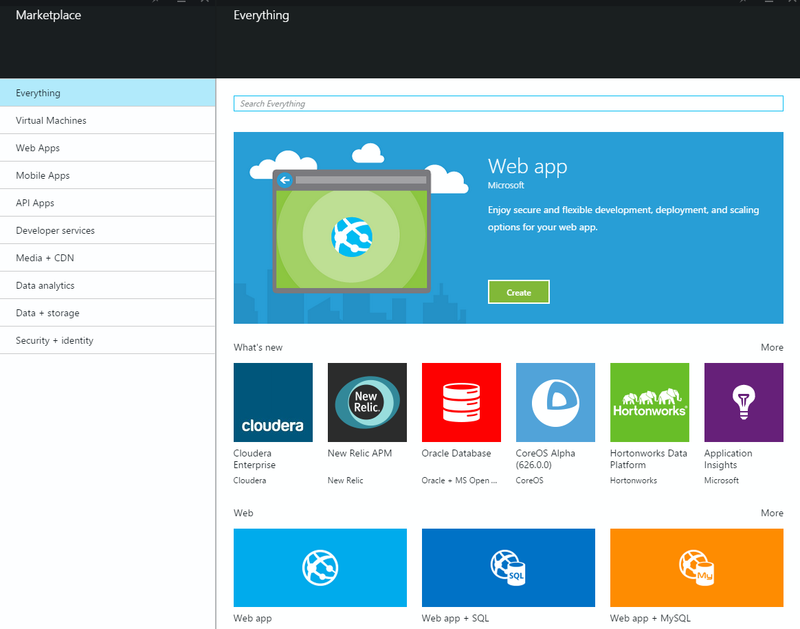 (Next up is some cool things about WindowsAzure(Oops !) 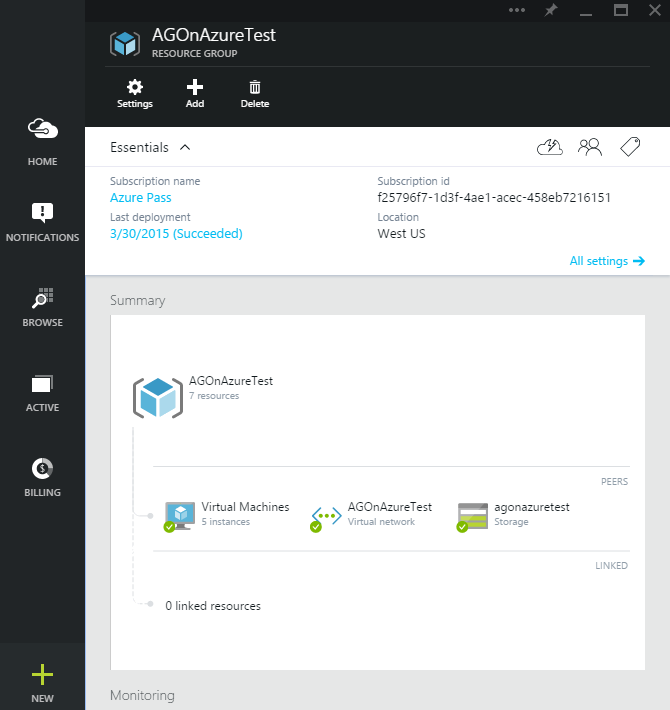 Microsoft Azure !!! 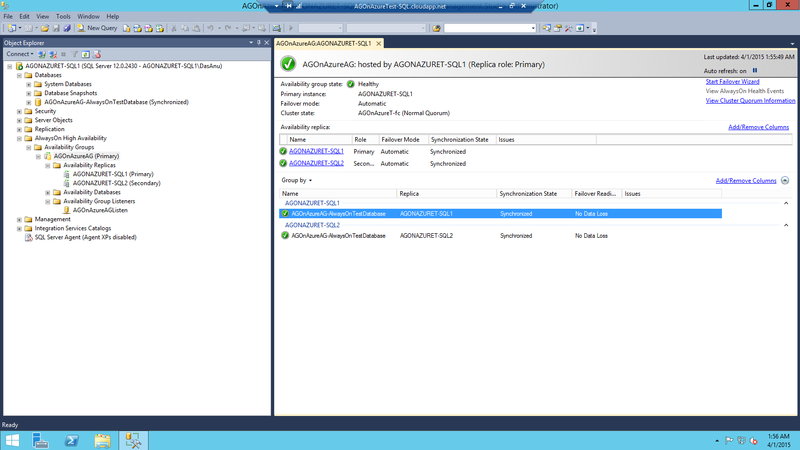 Hot cake for the day is SQLServer 2014 RTM bits. Its generally available starting today, and I downloaded a fresh copy to start testing it. 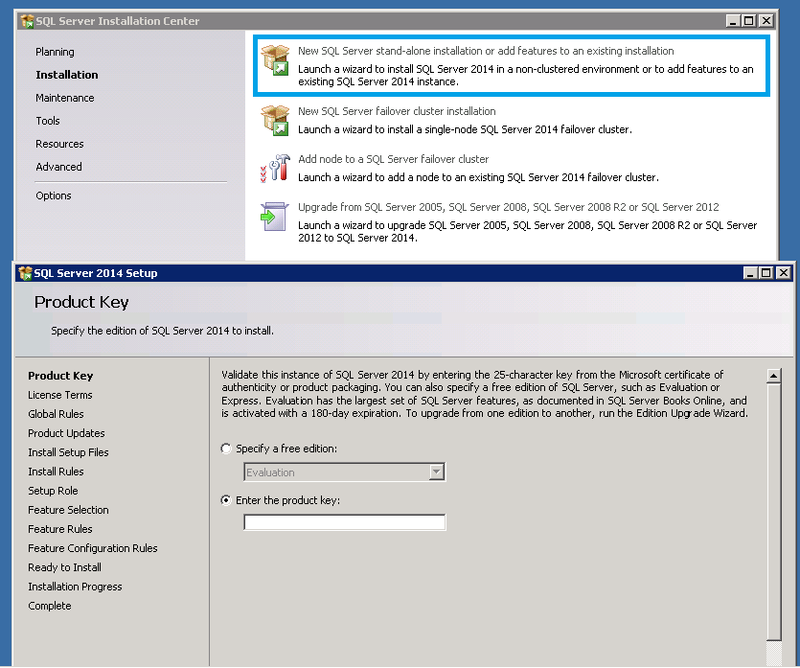 I will be writing a separate post on the features I love about SQLServer 2014,but here is the step by step install process for a standalone install. There are no changes for the GUI based install process when you compare with SQLServer 2012,but one thing I’m pretty sure that the installer is sleek and faster. Step 1 – The landing page looks pretty similar to the earlier versions, and you can choose the installation tab to get things started. 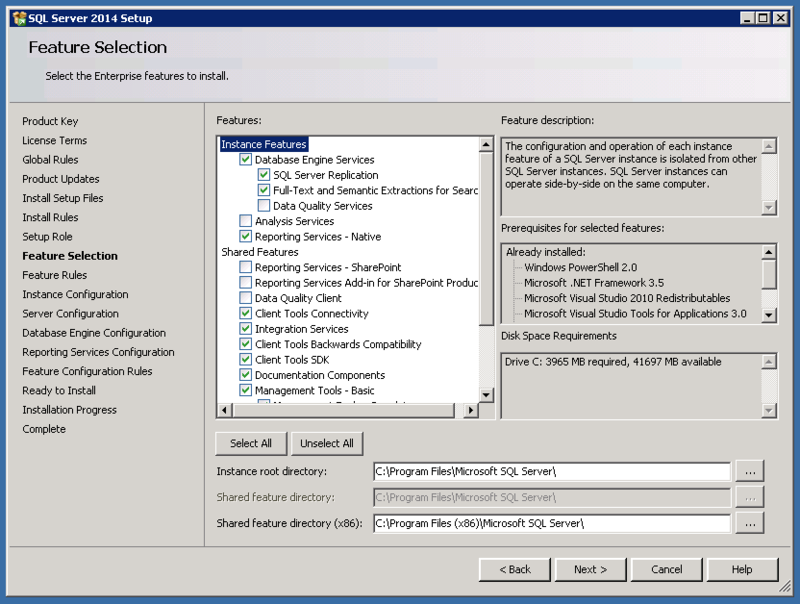 Step 2 – Choose the stand-alone install option, and it will take you to the product key page. 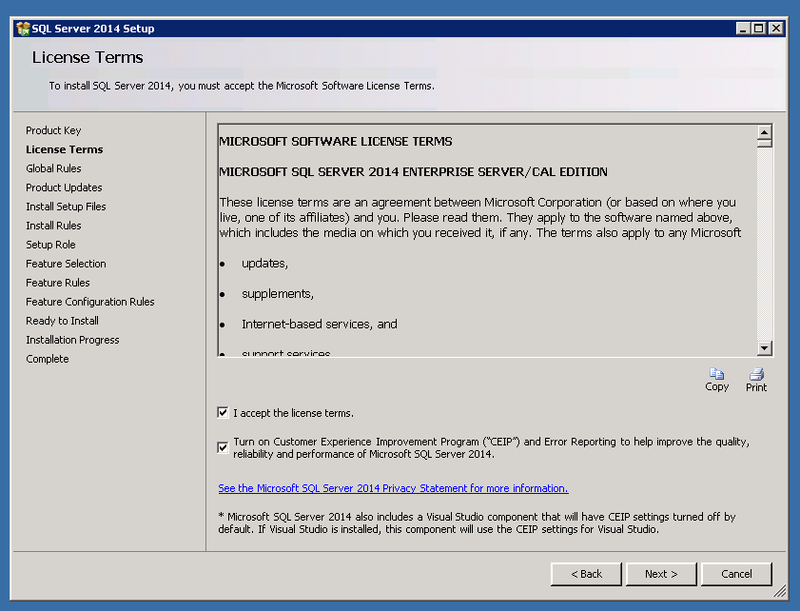 Step 3 – This screen is where you need to accept the license terms. There is also an option to turn on select Customer Experience Improvement Program and Error Reporting. 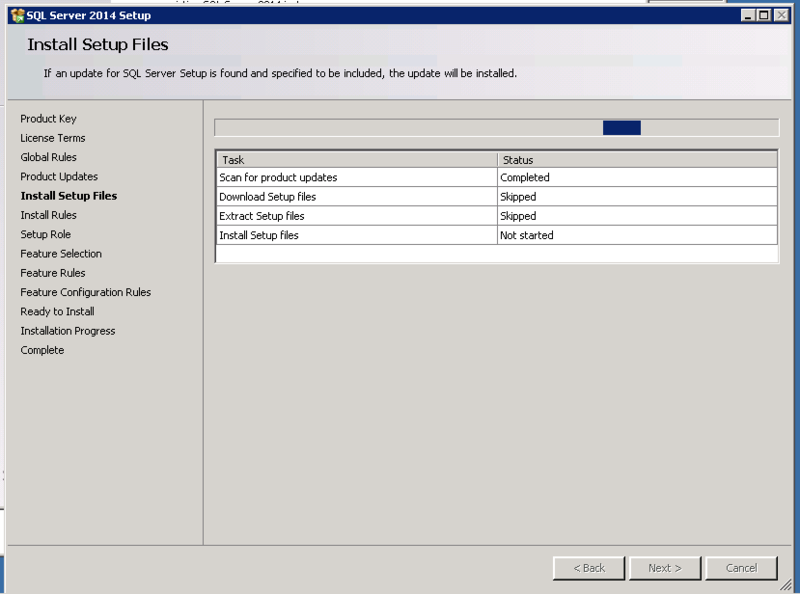 Step 4 – 6 These are the steps where Global Rules, Product Updates are checked and Setup files are extracted and installed. If the checks are good, then the install will proceed to the next step automatically. Step 7 – Install rules are checked for this step, and I have highlighted a check which was interesting to me. Step 8 – This step provides you with Feature installation options. 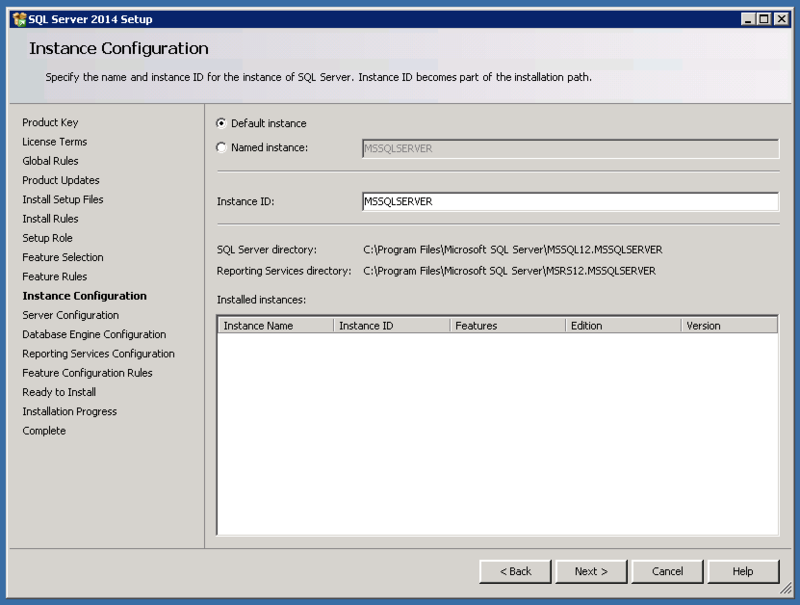 In this install I will discuss about the first option, ie SQLServer Feature Installation. Step 9 – This step is where you will select the features. I’m choosing only those ones which I need for my testing. 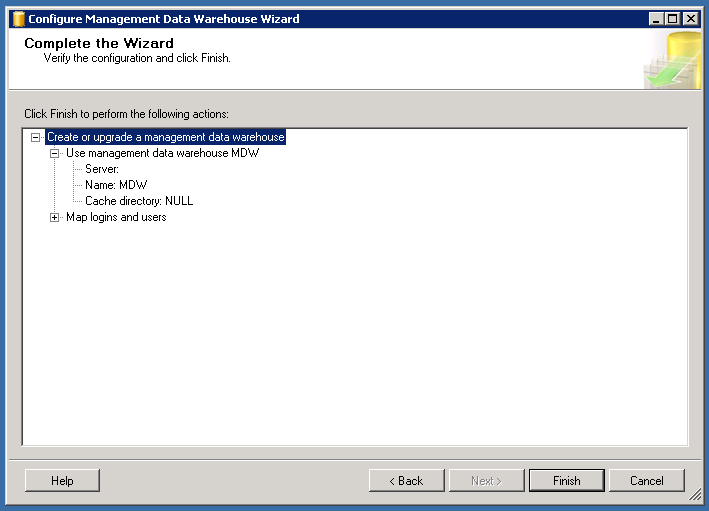 Step 10 – This step lets you decide if you want to go with Default Instance or a Named Instance. 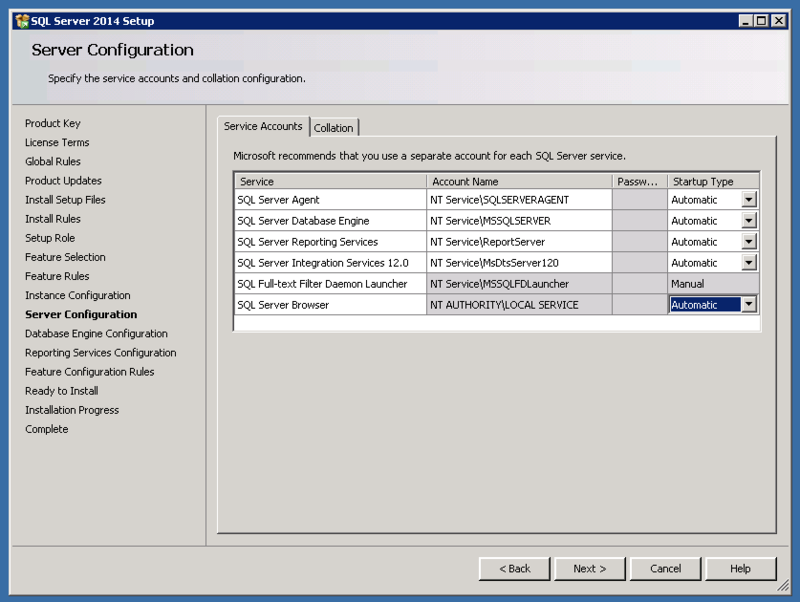 Step 11 – This step lets you select the account for the services. I’m choosing all defaults as that’s good for my test lab. 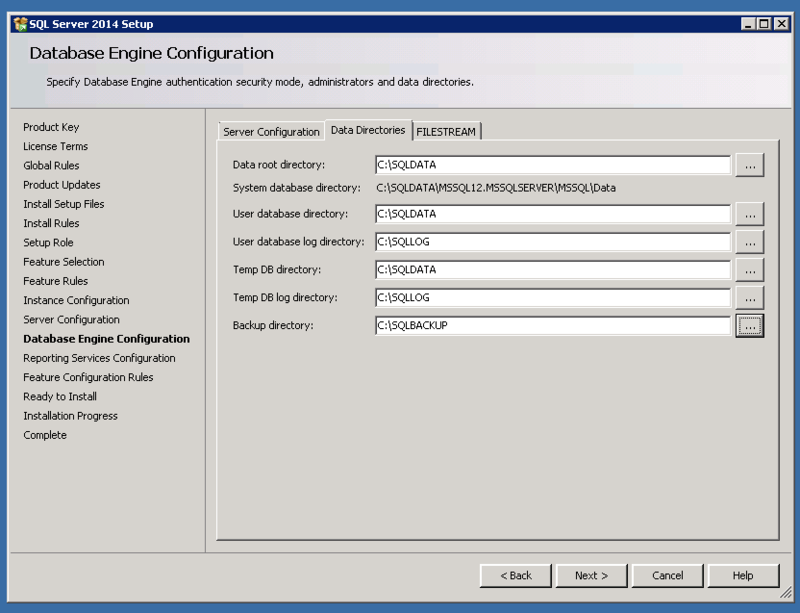 Step 12 – This step lets you choose the Authentication mode, Data directories, and File Stream options. 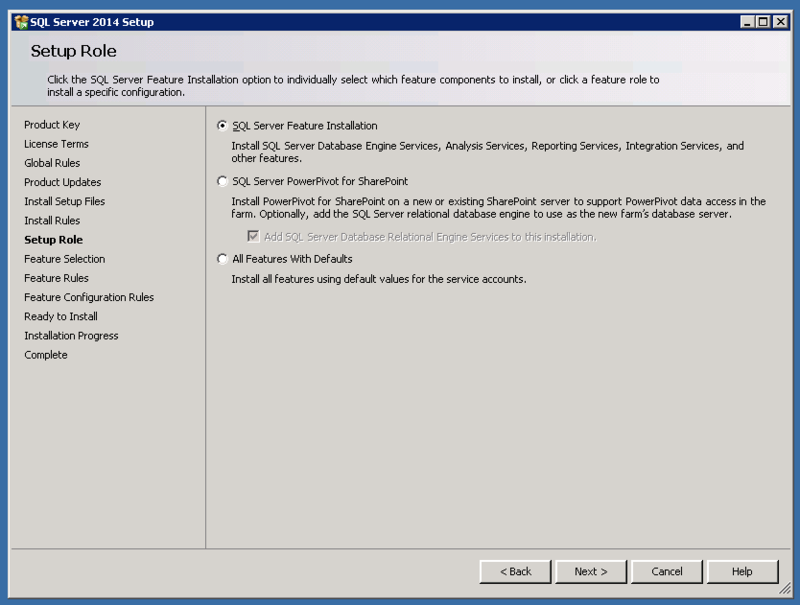 Step 13 – Feature Configuration Rules step. As mentioned earlier if the checks are fine, setup automatically proceeds to the next step. If everything goes smooth, your install will succeed. I’m really excited about some real good features in SQLServer 2014,and I will be writing about them during the next couple of days. 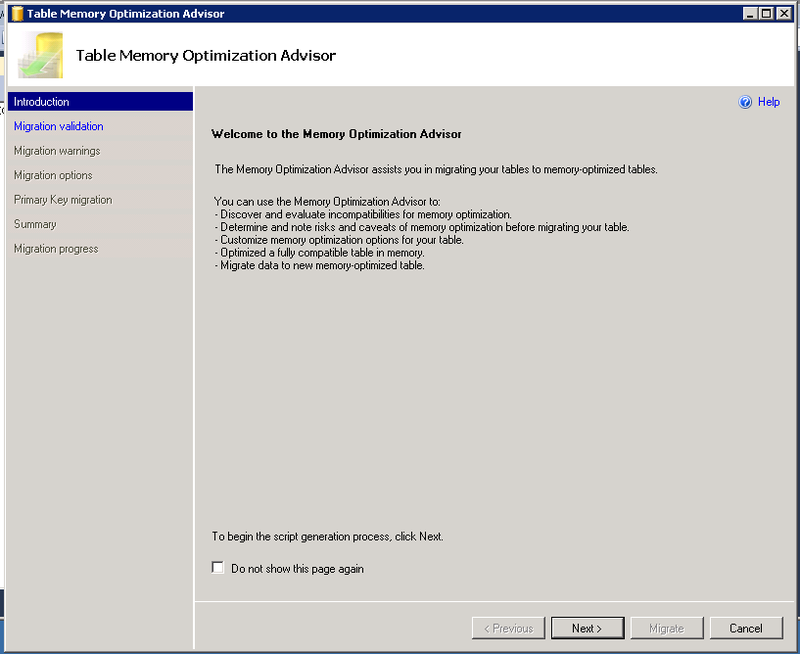 SQLServer 2014 CTP2 came with an inbuilt tool called Memory Optimization Advisor which will help you in migrating your normal tables to memory optimized tables. Where can I find this tool ? 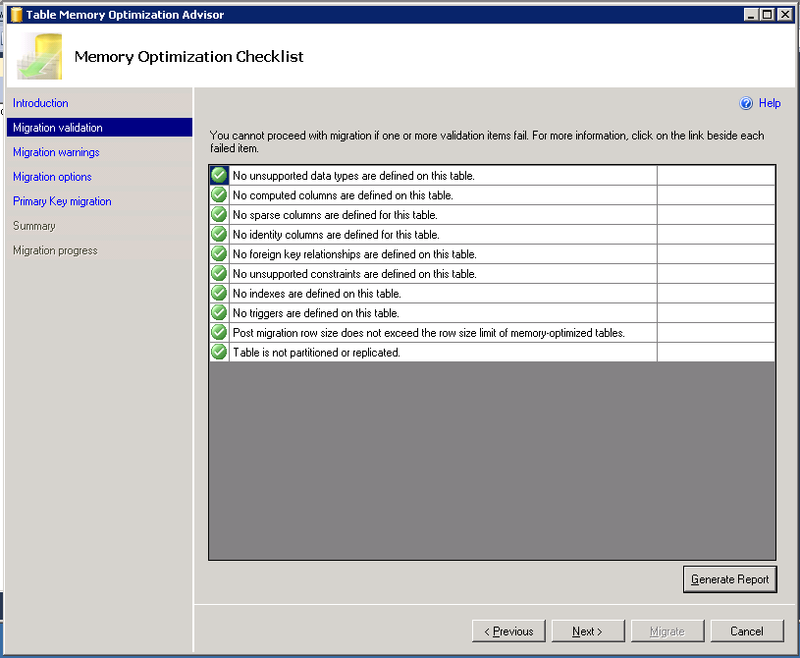 All you need to do is right click the table you want to migrate, and choose the option Memory Optimization Advisor. Note – This is still CTP, so things can change during RTM/GA phase. 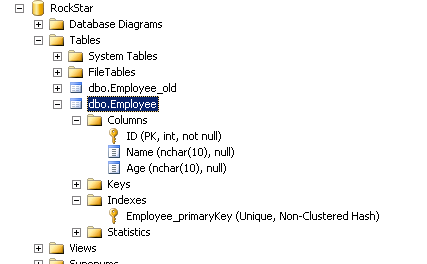 I started of with a normal table named Employee which has 3 Col and 3 rows data on it. Nothing big, pretty simple. I clicked next to proceed, and the wizard gave me some information about the limitations of memory optimized object, and a link which will explain the limitations in detail. Next up is some interesting stuff. 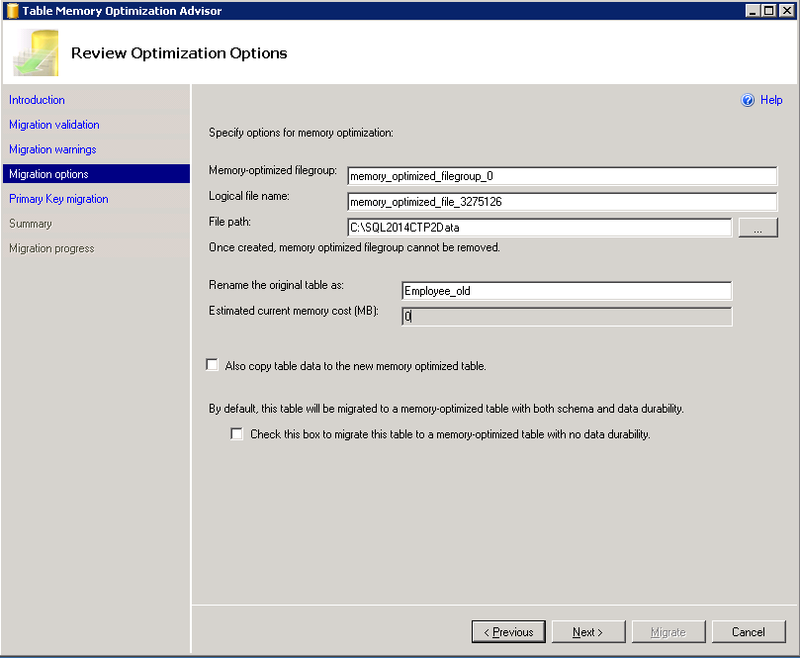 The wizard is forcing me to select the options for memory optimized objects. I have the option to mention memory optimized file group,name and the file path. 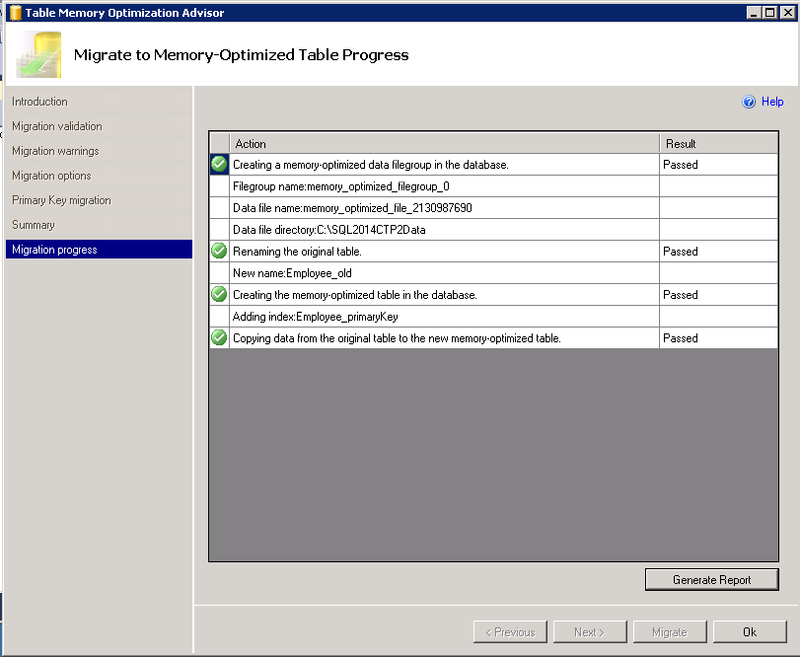 I also have the option to re-name the original table, copy data from the original table to the memory optimized table and a check box to mention if the table needs to be moved with no data durability. (Default being both schema/data durability). I decided to go with all defaults as this was a test case. I presume that this value will be the cost of size in memory which will be needed when the table is moved as a memory optimized object. I might not be right at this point, but I will update this post in case this is not true. Next screen in the wizard talks about primary key and index creation. 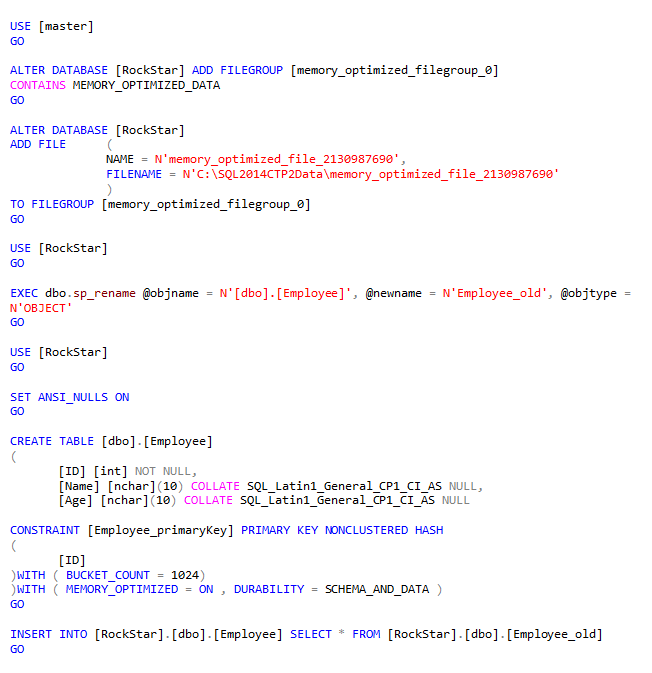 I decided to make column ID as the primary key with a NON-CLUSTERED HASH Index and a bucket count of 1024. The final screen provided me a summary of my selections. Yet another cool feature in the wizard is that it allowed me to script everything before I finalize my selections. I decided to hit Migrate, and wanted to see how it goes. Viola,all clean and green ! The wizard was smart enough to rename the old table,and created a memory optimized one for me. This is a very neat feel good to have tool and those warnings and pre-checks will definitely help users to streamline issues well before they are IN MEMORY !